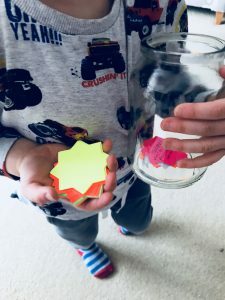 When your child does something positive/ achieves a goal, you simply write it on a star, place it in a jar and then you go through all the stars on a weekly basis with all the family members present. This is a great way to highlight a child’s strengths, increase positive behaviours, encourage communication and enhance family relationships. Parents I’ve worked with have really enjoyed using this tool. It can be particularly helpful if your child has anxiety or low self esteem. Sometimes it can be useful for older children/ teenagers to also write stars for their parents. If there are relationship difficulties between parent and child, this is a great way to encourage communication and the parent can see what their child values in them. Sometimes it can be hard to break out of a negative cycle and being encouraged to focus on the behaviours you like, can help the parent and child to view the relationship differently.